Recent changes made to the iCloud.com website suggest that Apple are getting ready to implement new features to the web-based service, including the addition of Notes and Reminders apps. 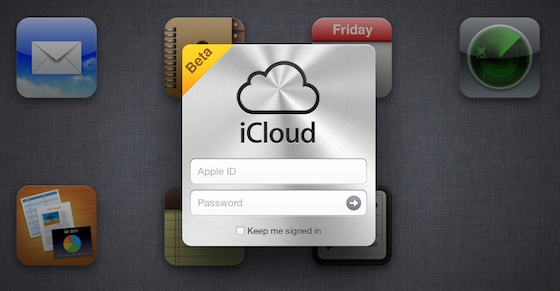 The iCloud.com beta (beta.icloud.com) shows a revised app icon grid at the login screen, with the two new apps clearly visible. Currently, iCloud.com only shows the standard icons for Mail, Contacts, Calendar, Find My iPhone and iWork. 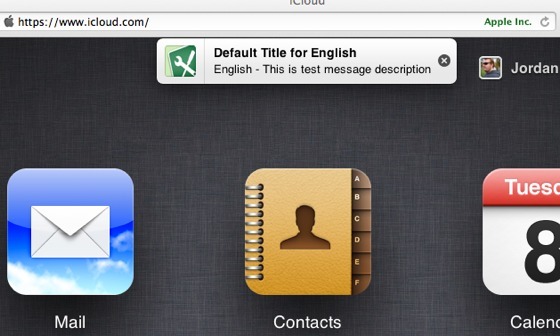 Recently, Apple have been observed to be testing notifications on the normal iCloud.com portal, suggesting that several new iOS features will be coming shortly to the service with the release of iOS 6. Expect more news on iCloud.com and iOS 6 at the WorldWide Developer Conference (WWDC) next month.